Knee pain in children is usually occurs during periods of rapid growth and puberty. One of the most common problems that cause knee pain in children is a condition called Osgood Schlatter disease. This is a common issue amongst children and adolescents. It effects boys aged 13-15 and girls aged 10-12, but mostly effects the boys. This is because these are the ages that the most rapid growth occurs in children. Osgood Schlatter is caused by excessive traction at the growth plate of the tibial tuberosity (the palpable bony lump underneath your knee and at the top of the tibia) by the patellar tendon. It occurs in association with high levels of activity during a period of rapid bone growth and it is thought that at this point the patellar tendon places even more traction on the tibial tuberosity. 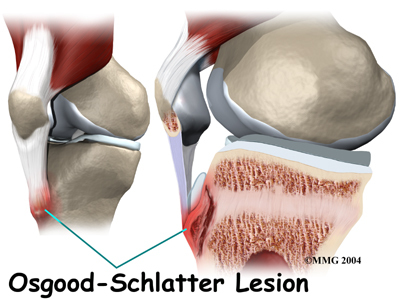 The main symptoms of Osgood Schlatter disease is pain, which can be really debilitating in severe cases, and pain intensity varies depending on the severity of the disease. Excessive exercise and traction at the knee triggers the knee pain, local swelling can also be seen at the knee alongside an increase in size of tibial tuberosity. Unfortunately, this is a self limiting condition that settles once the tibial tuberosity fuses correctly, which means that you’ll be playing the waiting game as there is no specific treatment to speed up the healing process. However, reduction in activity is thought to reduce pain, so it may be useful to stop one or two of the sports your child plays but there is no need to completely rest. Pain can actually be used as a useful guide for activity, for example, let your child decide which activities they want to keep doing but once pain starts, stop. Other forms of management can help reduce pain including, application of ice directly to the knee, stretching of the quadriceps, and massage therapy to the quadriceps to reduce the tension through the patellar tendon. Always remember this is a self limiting condition, it will settle in time, but bare in mind it could take anything up to 2 years to be completely free of symptoms. However, there is no need to stop activity altogether as long as you management the amount of activity performed. By reducing the activity, pain levels can be controlled effectively and your child could have minimal pain over the duration of the condition. Anyways, I hope you enjoyed reading and found this post helpful. If you’d like any further information, please get in touch. Mobile and Urban Fit Gym appointments are available everyday Monday - Saturday on request. Please book appointments in advance to arrival. Cancellations of appointments must be made 24 hours before the appointment start time. Cancellations made later than this will result in the full charge of the appointment. Please prove you are human; what is 20+1?